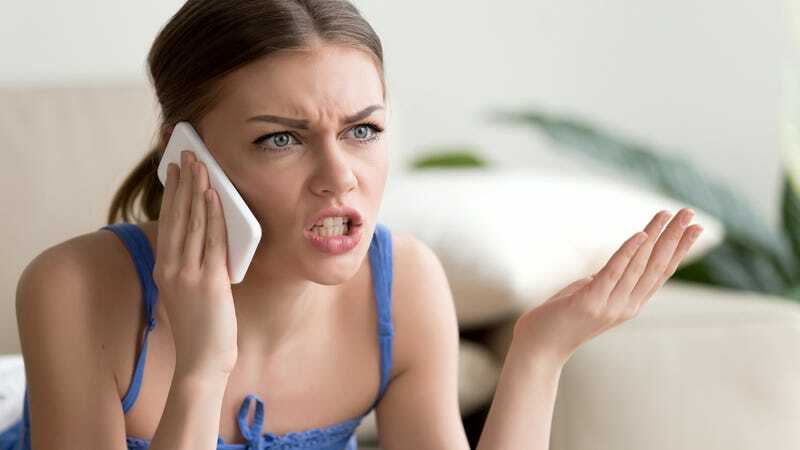 WASHINGTON—Saying the hostile behavior helped Americans feel empowered and liberated, a report released Friday by the Pew Research Center revealed that the nation gets out all of its aggression during monthly phone calls to their wireless provider to fix their service. “Whenever I feel pure, unadulterated rage starting to build up in my chest, I call up my wireless service provider and just unload on the first human voice I hear. It really helps me stay centered,” said Charles Gagne, echoing the sentiment of over 325 million Americans who showed a strong preference to spewing vitriol over the phone for 75 minutes compared to other stress-relieving methods like consistent exercise or talk therapy. “If I’m still feeling a bit agitated after my initial call, sometimes I call back with another trumped-up charge to get it all out of my system. Once, I threatened to leave for a competitor and to file a formal complaint with their supervisor. I’m typically at ease for at least another 30 days after that.” In a related report, a global survey linked anti-American sentiment to mistreatment of customer service professionals. For humans who wish their phone service company would start treating them like humans and stop wasting their time: Visible. It’s phone service. In an app.